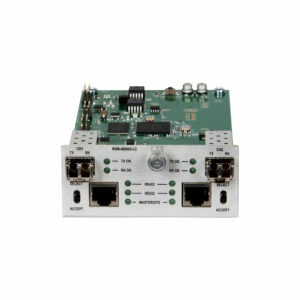 The Thinklogical RS-232/422 fiber extender supports two remote serial devices up to 1,000 meters using multi-mode fiber optics and up to 40 km using single-mode fiber optics. 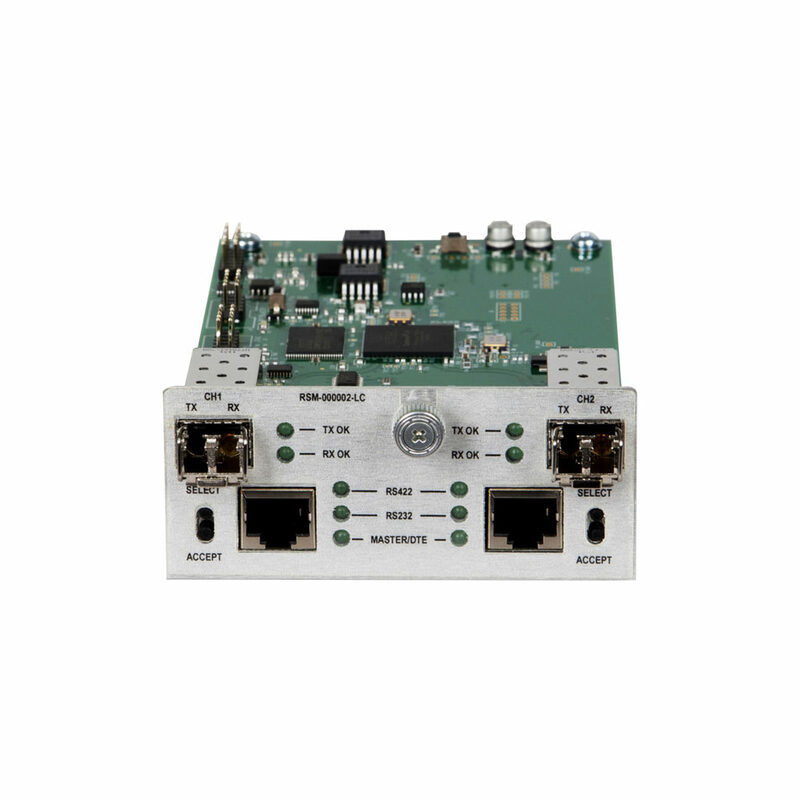 Each port can be configured individually, as either RS-232 or RS-422. Additionally, the RS-232 port can be configured as DTE or DCE, while the RS-422 can be configured as either master or slave.